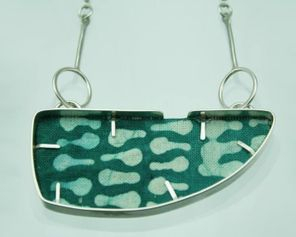 Michele is a designer maker based in Fife, Scotland. 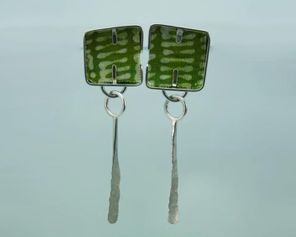 She studied at Edinburgh Telford College (Diploma in Stitched Textiles) and then at Dunfermline Carnegie College (Jewellery Design and Manufacturing). 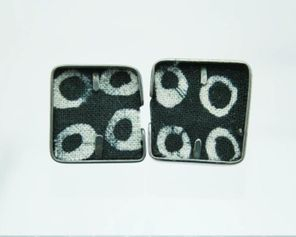 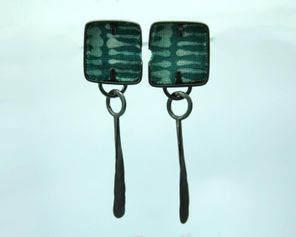 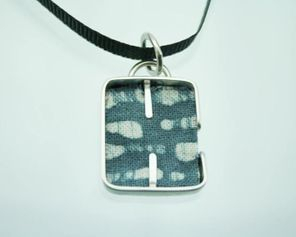 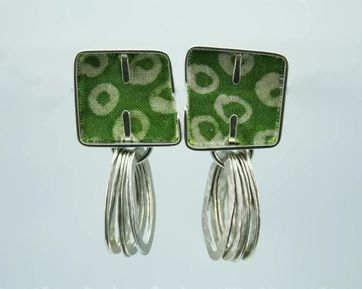 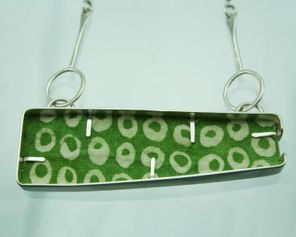 Michele combines these two disciplines in her jewellery designs; silver and batik fabric. 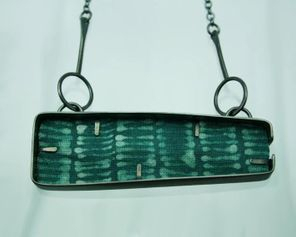 Inspirations for her designs come from surfaces; the repeat markings on Glasgow pavements, the chisel markings on Edinburgh walls along with aged and weathered brick and stonework. 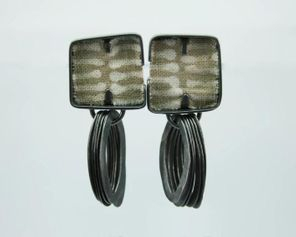 Working predominantly in silver, Michele treats each piece individually; no two pieces will be exactly the same - even a pair of earrings. 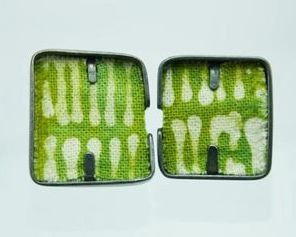 She batiks the fabric herself and mixes the pigments to dye each panel separately.